When a person's brain suffers serious damage, the symptoms will often be so obvious as to make the diagnosis clear. Each year, though, many more people end up with milder sorts of brain injuries that are significantly more difficult to diagnose. Despite that, many of these injuries end up making life much more challenging for a long time to come. Mild forms of traumatic brain injury, in fact, can easily make it difficult to earn a living or even to maintain strong, positive relationships with others. Law firms like Frekhtman & Associates are ready to help people who end up in this situation obtain the resources they need to ensure a complete recovery. A Resilient Organ With Very Real Weaknesses and Limitations The human brain is a marvel of biological engineering, and it is by far the most impressive such organ to be found in the animal kingdom. While the brain is fairly well protected in general, it can still suffer damage when subjected to too much force or other types of stresses. In some such cases, a lingering type of damage known as "mild traumatic brain injury," or MTBI, results. While not as serious as some other kinds of brain injuries, such problems can make life much more difficult for those forced to grapple with them. Some of the types of symptoms that most often crop up after such a brain injury has been inflicted include: Headaches. Headaches of any level of intensity and frequently can affect anyone who has suffered an MTBI. Memory loss. 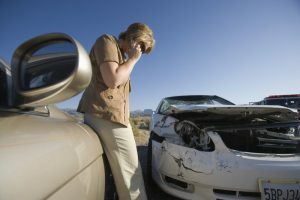 Many people who sustain mild brain injuries end up having difficulty recalling events that happened in the recent past. Inability to focus. The mind can become prone to wandering after the infliction of an MTBI, making it difficult to remain focused on any one task. Attorneys Who Have What It Takes to Secure Compensation for MTBI Victims MTBI symptoms like these and others can make it much more difficult to victims to function as they formerly did. As a result, many end up losing out on wages and grappling with other problems. Getting in touch with an attorney like one of those at Frekhtman & Associates will often be a positive, productive step for an MTBI victim.